Cilantro is one of those herbs that is sold in too large an amount for the normal cook. It’s an oddity when it seems like everything else is packaged too small. But such is life. I was getting tired of purchasing that large bunch of green just to see it wilt and spoil before I could use it. So I went looking to solve my problem. Cilantro (also known as Chinese parsley) is the name given to just the leaves of the coriander plant (Coriandrum sativum), although confusingly both the plant and the seeds are traditionally called coriander. To further muddy the waters there is also “culantro,” which is a different herb altogether. 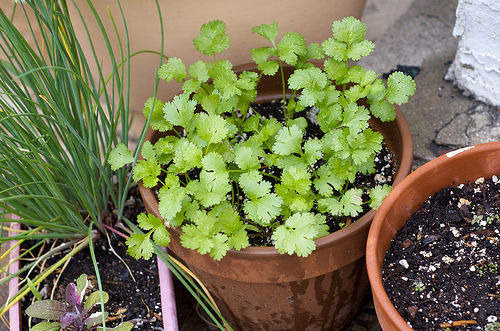 The coriander plant is from the same family as anise, fennel, dill, caraway and cumin. 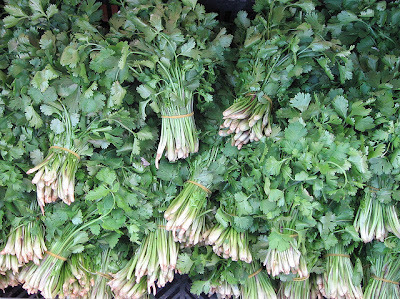 Cilantro leaves, coriander seeds and coriander flowers are all used for food and medicine. (See where the confusion comes in?) The plant is also used in cosmetics, dyes, and perfumes. 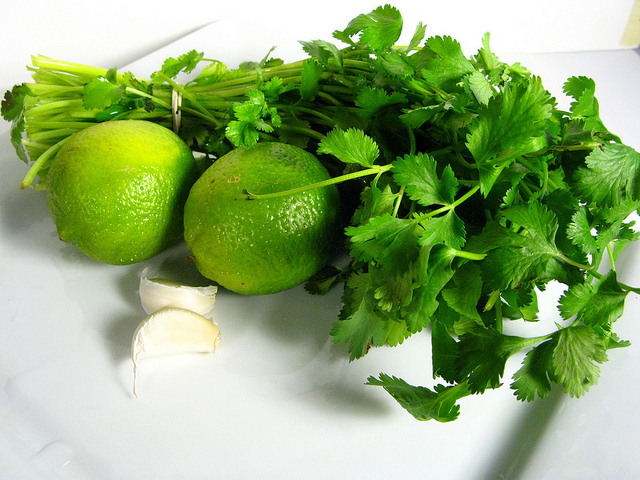 Coriander is often accompanied by lime and garlic. Early reference is made to “coriandre” in Old French as well as our “coriander” in 14th Century England. They all probably grew more than they knew what to do with as well. Cilantro leaves have a different taste from the coriander seeds, with citrus flavours. Some people find it has an unpleasant "soapy" taste or a rank smell and avoid the leaves. It definitely can be an acquired taste to some, but would be sorely missed if not included in many Indian and Asian dishes. 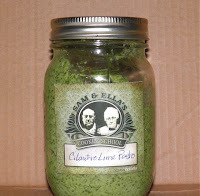 Cilantro is used as a garnish and is most often added at the last minute to dishes. 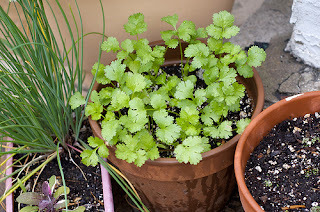 Cilantro leaves are sometimes cooked in larger amounts whereby the flavour mellows somewhat, and also can be used as a substitute for basil in pesto. Interestingly, in Pesto it does not dominate. 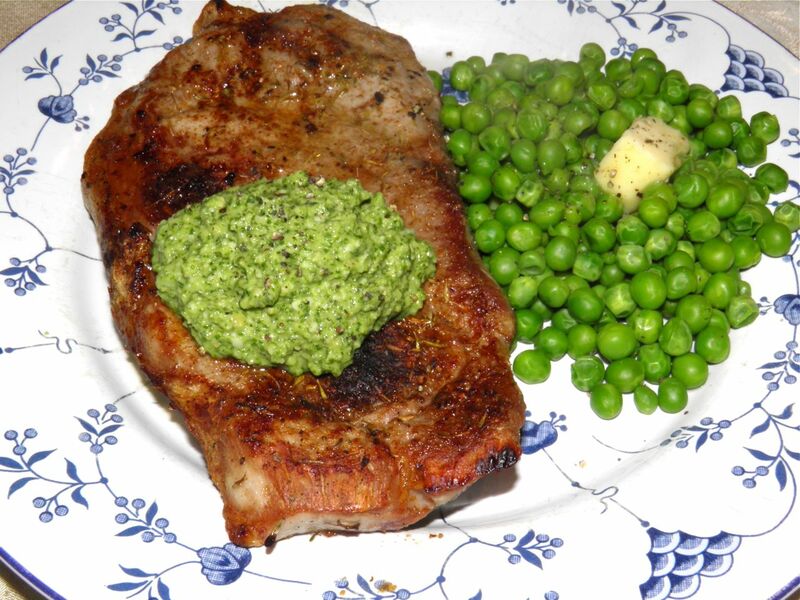 If anyone has made regular basil pesto, they know that the basil is not really as strong as one would assume either. I had to purchase 12 lbs (it seemed like it) of cilantro to get my small amount for yesterday’s chicken satay. So I was left with the remaining 11.75 lbs…it had to be used. That’s where the recipe for today’s post began. First make the pesto. Place all ingredients in a food processor and process until well incorporated. It will still be a little coarse. Do not make completely smooth. Place in a jar and refrigerate. Place the pork chops on a broiler pan. Mix the spices together and sprinkle half over one side of the meat. Broil the pork on one side for 8 minutes on the top rack of the oven (or until done to your preference). Turn the meat, season with the remaining spice and broil the second side. Do not over broil on either side or your chops will be dry. Secret: If using a broiler with a rack or elevated plate, put water in the bottom of the pan. This helps retain some of the moisture in the meat, and makes cleanup far easier. Plate the pork and serve with a large dollop of the pesto on top. 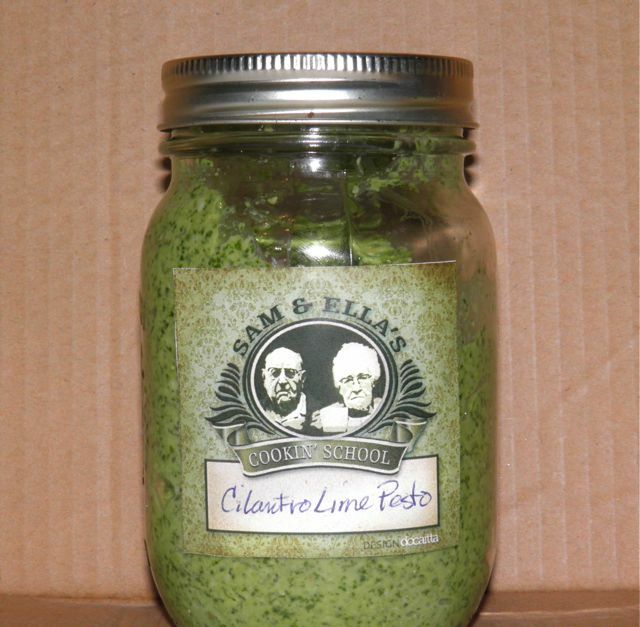 Leftover cilantro pesto can be stored in the refrigerator. I think it would be superior on baked potatoes. It's also good tossed with pasta, as are all other pestos.